We are experts in on-site installation and professional hardwood floor refinishing of natural or finished hardwood floors with over 90 years of experience and craftsmanship to deliver to you the best possible design options. 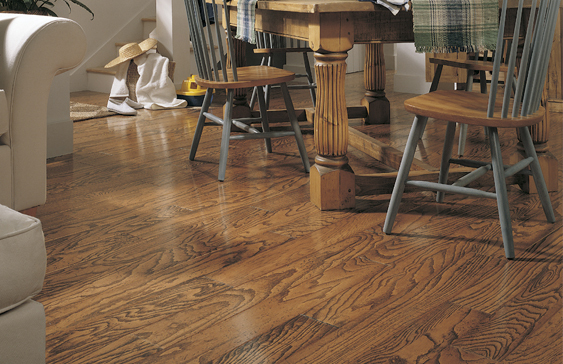 We supply and install unfinished hardwoods of many species to include oak, maple, walnut, Brazilian cherry, American cherry, hickory in strip or wide plank and more. Custom work is our specialty! We provide custom inlay border work designs from walnut pin stripes to elaborate Greek Keys and basket weaves. We will custom finish or re-finish your hardwood flooring offering you choices for stain color and finish preferences with either oil or water based urethane.